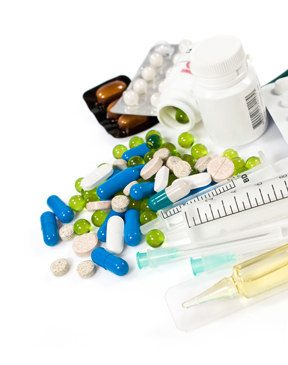 According to Ontario Regulation 298/12 made under the Environmental Protection Act, medication designated as “pharmaceutical” as well as sharps/syringes can be brought to any local pharmacy for proper disposal – free of charge. Medications for pain, your birth control pills or those tablets you bought for your trip …three years ago. Those used sharps for your pets or the one’s needed for a health condition in your household. If you look in your medicine cabinet, chances are you’ll find medications and sharps that are expired or that you no longer need. Luckily, you can now return these medications and sharps to a pharmacy in your community through programs offered by the health products industries called Ontario Medications Return Program (OMRP) and the Ontario Sharps Collection Program (OSCP). 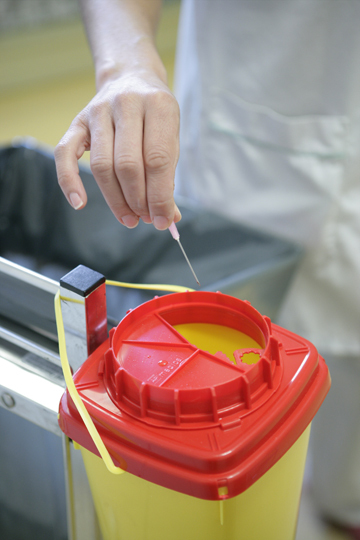 When you drop off your medications and sharps, you’ll not only ensure they’re disposed of properly – you’ll also keep them out of the wrong hands, preventing abuse or accidental ingestion, needle stick injuries – and protecting our environment in the process. Please download the brochures for the Ontario Medications Return Program and/or the Sharps Collection Program for more information – see below. Should your local pharmacy not accept your pharmaceuticals or sharps , please contact the Health Unit at 519-258-2146 to notify them of this situation. The Health Unit will follow up with the pharmacy in non-compliance with Ontario Reg. 298/12. For more information regarding Ontario Regulation 298/12 and what constitutes pharmaceuticals and sharps, please refer to the actual O. Reg. below.